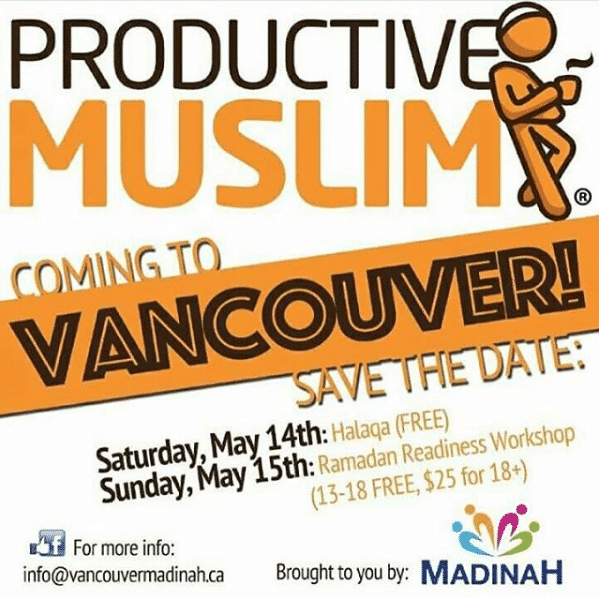 ProductiveMuslim.com is pleased to announce a 1-Day ProductiveRamadan Workshop in Vancouver (Canada) in partnership with Vancouver Madinah (Click here for more details). How to sustain your focus/attention at school/work during Ramadan? 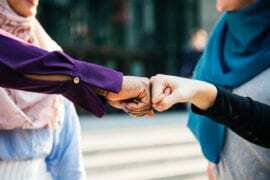 The workshop will be facilitated by the founder of ProductiveMuslim.com, Mohammed Faris (aka Abu Productive). TO REGISTER: Please visit http://buytickets.at/vancouvermadinah to purchase your tickets (19+) or to reserve your seat for free (13-18).